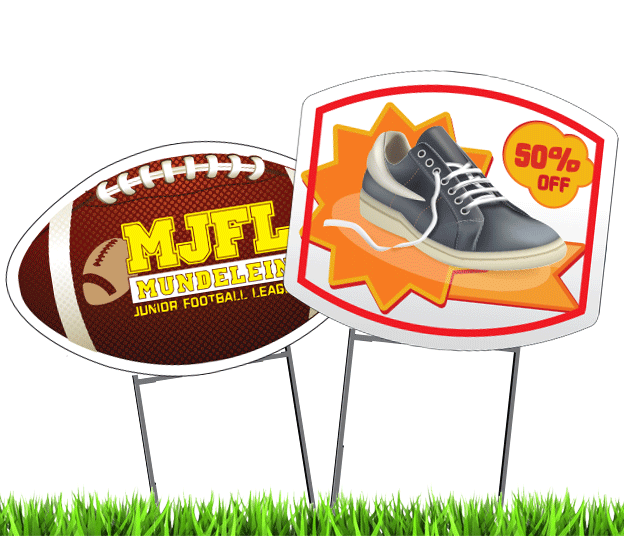 To promote a business, an event or a favorite candidate with full color yard signs. Yard Signs are printed on 4mm white Coroplast (Corrugated Plastic) material. 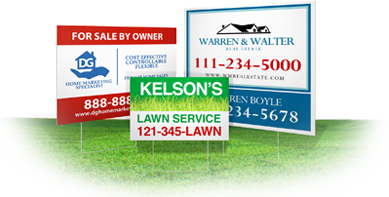 Yard Sign are great for real estate, event promotion and any other advertisement purposes. Multiple Sizes & ground stakes options are available depending on your needs.